Kate McIntyre MW, VP of Mornington Peninsula Vignerons introducing the Mornington Peninsula wine family. Mornington Peninsula (MP) Vignerons were back in London recently after a brief hiatus of couple of years. Distance may be one reason to some extent for the delay, although its good to know that many of their wines are now beginning to be available across England. Located in Southern tip of Victoria state of Australia, this beautiful ‘home away from home’ destination of Melbourne city dwellers, is a sports and arts haven for lifestyle fanatics. The peninsula jutting out from Melbourne engulfing along with Bellarine Peninsula forms a not too deep but wide Bay known as the Port Phillip Bay. Tasmania is the only island state positioned south of it and is separated by the Bass Strait. Being so southerly, has given Mornington Peninsula huge advantage in the form of cool maritime climate, with long hours of sunshine that has favoured grape growing in this relatively young wine region. A bit on the younger side in starting wine production, grape growing began on a commercial level only about 30 years ago. However, with time and more experience, the region is now demonstrating that the wines of this region are coming of age. 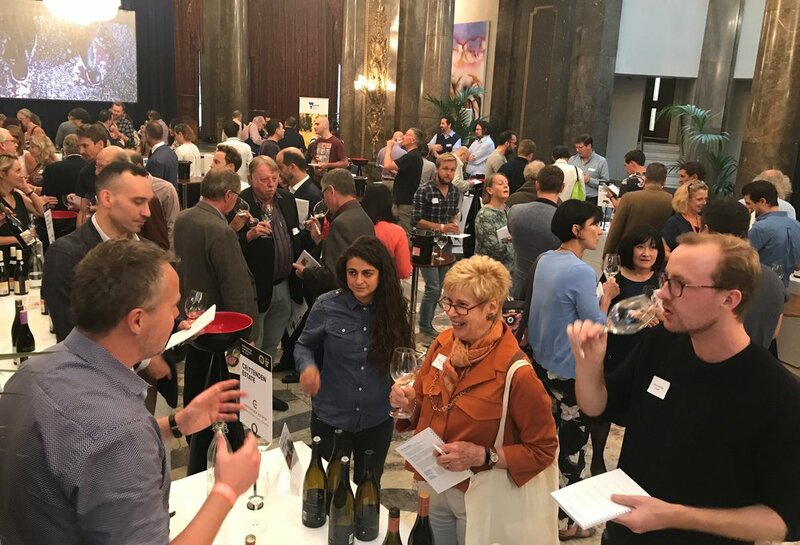 In a recent wine tasting with 9 of the upcoming winemakers organised at the High Commission of Australia, it was great to see a common theme developing amongst the MP vignerons who are showing increasing confidence in their wine making abilities. With the representation of Master of Wine, Kate McIntyre, wholly dedicated to the development of the region and who is also the Vice President of the MP Vigneron Assocation, (and the owner & wine maker of her family estate, Moorooduc) there is a conscious effort to raise the bar of wines from this region, that is increasingly begun to yield positive results. The grapes tasted were Chardonnay and Pinot Noir although my previous tastings and notes that you can access in the paragraph above (underlined and highlighted), show other varietals such as Pinot Gris which have also been making their way to the international route. The vintages presented, ranged from 2012-2016 for Chardonnay demonstrating not just the vintage variations which are common in the maritime themed climatic patterns of the region but also demonstrate the power and impact of ageing these wines. In Pinot Noir, we focused on 2016 which though was a difficult vintage, held up consistently with great results for the grape across the board. Here are my tasting notes. 2012 was a near to perfect growing season with warm and steady hours of uninterrupted sunshine and slow ripening. Resulting wines display steadfastness and youthful attributes even with reasonable ageing on them. In particular, Moorooduc Estate, The McIntyre Chardonnay 2012 is very impressive with a light yet elegant floral appeal. The golden colour definitely shows the aged maturity of the wines and the acidity is linear and racy. There is a notable element of spice and toastiness on the finish adding to the style and finesse. Yabby Lakes, Block 1 Chardonnay 2012 is made from fruits out of a tiny section of the vineyard displaying impressive barnyard and earthy attributes. Ocean Eight, Verve Chardonnay 2012 has complex notes of truffles, asparagus. Acidity is strikingly zesty and the ovarall integration of soft oak and fruit is vibrant and uplifting. 2014 was a smaller yield due to overly wet spring which did affect budding and flowering. However, wines produced are showing the classic Macon Burgundian traits. Crittenden Estate, The Zumma Chardonnay 2014 has been produced from vines atleast 30 years old and show fragrant and juicy yellow stone fruit notes with a buttery honeyed mid palate texture and very crisp dry finish. 2015 was noted to be an “even” season with mild temperatures alternating with occasional rains and long hours of moderated sunshine allowing for accumulation of natural acidity in the grapes. Paringa Estate, The Paringa Chardonnay 2015 with a vine age of 30 years displays the floral elegance of blossom flowers, caramel notes on the mid palate along with a mouthfilling palate and sharp but well integrated acidity. 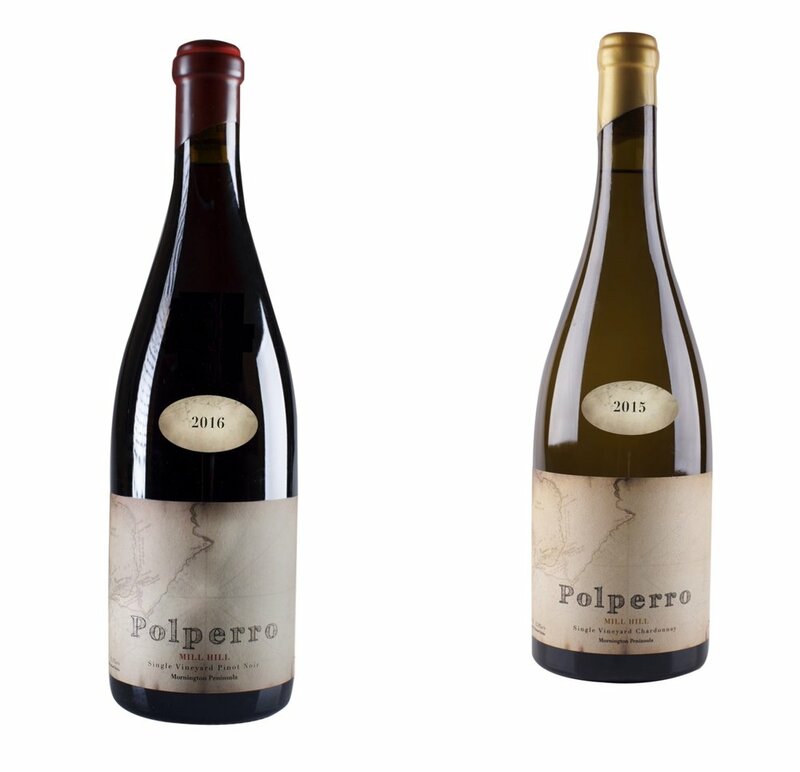 Polperro “Mill Hill” Chardonnay 2015 situated on volcanic soil over a bedrock of Granite uses very ‘hands off’ approach to wine making allowing the wines to display the sense of place. There is an underlying stony power and steely appeal to the wine making it very impressive. This wine is also the only wine that showed strong notes of tropical fruits of ripe passion fruit and lychee making it very attractive. Kooyong Single Vineyard Farrago Chardonnay 2015 with grapes from their exposed part of the vineyard displays purity of fruit, softer rounded aromatic notes and honey blossom on the finish. 2016 experienced a terribly long winter, the worst in 26 years that worked its way into spring and accompanied by unusually low levels of rains. Summer was brief but warmer and as a result the grapes had to work harder to build up concentration but the yield was good and the wines managed to produce impressive levels of ripeness. Stonier KBS Vineyard Chardonnay 2016 shows the ripe apricot notes along with terrific fruit concentration to demonstrate the vintage traits. The Ten Minutes by Tractor, Wallis Chardonnay 2016 also shows the generosity and richness of fruit showing a very classic vintage style. Ten minutes by Tractors, McCutcheon Pinot Noir 2016 shows phenomenally ripe and soft tannins and forest floor ageing notes, for an otherwise tough vintage. Stonier’s Merron’s Single Vineyard 2016 is soft and fruit forward style (not overtly luscious wine) with rounded and silky tannins. Kooyong’s Single Vineyard Ferrous Pinot Noir 2016 speaks of its terroir of iron stones pebbles that accumulates heat and results in longer ripening period for the grapes. This comes out through its bold and packed ripe fruit intensity, sweet vanilla and spicy black pepper flavour, making it supremely layered and textured. Polperro’s “Mill Hill” Pinot Noir 2016 is a vibrant cranberry and raspberry fruit bomb on the mid palate with textured and polished tannins, creating a smooth finesse. Paringa Estate’s The Pinot Noir 2016 with vines nearly 35 years of age, shows density of flavours and the spicy savouriness of new oak. Its rounded and a flamboyantly expressive with varied notes of red cherry, liquorice, black pepper. Structured with overt tannins. Crittenden Estate, Cri de Coeur Pinot Noir 2016, is made from grapes of vines that are still young but display complex leafy notes along with distinctly ripe black cherry and black plum fruits. Very textured the whole bunch fermentation adds to the grip and intensity of the wine. Ocean Eight Pinot Noir 2016 is mightily aromatic and expressive with youthful and concentrated red fruit notes. No new oak is used so the fruit notes are persistent and mouthfilling making it a very accessible wine. Yabby Lake, Single Vineyard Pinot Noir 2016 displays purity of red fruit and floral appeal. Consistently soft with silky and ripe tannins. Some whole bunch has been used and only 15% New oak keeping it elegant and fruity. Moorooduc Estate Robinson Vineyard, Pinot Noir 2016 has a core of sweet cherry fruit with a layering of spice and herbal edge. Complex with sweet toast notes of oak. Very long and silky finish. To sum up, these were some of the aromatic and well-crafted “hands off’ approach to making wines that seem to have become the norm for the region, showing its true potential as wines age. Chardonnay varietal in Mornington Peninsula shows impressive concentration and balance of richness from oak and fruit along with vibrant acidity that make these wines worthy of being paired with food. The older vintages have a seamless Burgundian theme through them, specifically from Macon, with power and finesse to pair with creamed and baked dishes. With partial Malo lactic fermentation and more of gentle racking of lees, the wines retain the power but still have acidity shining through them. Mornington Peninsula Vignerons are becoming more confident working with the delicate and challenging Pinot Noir grape, creating their own unique style of wine. The wines are medium pale and demonstrate good complexity. Combination of indigenous wild yeasts, whole bunch fermentation, use of more old oak is credited to adding complexity to these wines. The end result is a delicate, vibrant and fresh floral and fruit elegance, which makes their Pinot Noir very appealing yet stylistically unique. With the added bonus of increasing vine age for all grape varietals now, one can safely assume the move towards more competent and concentrated vintages ahead.